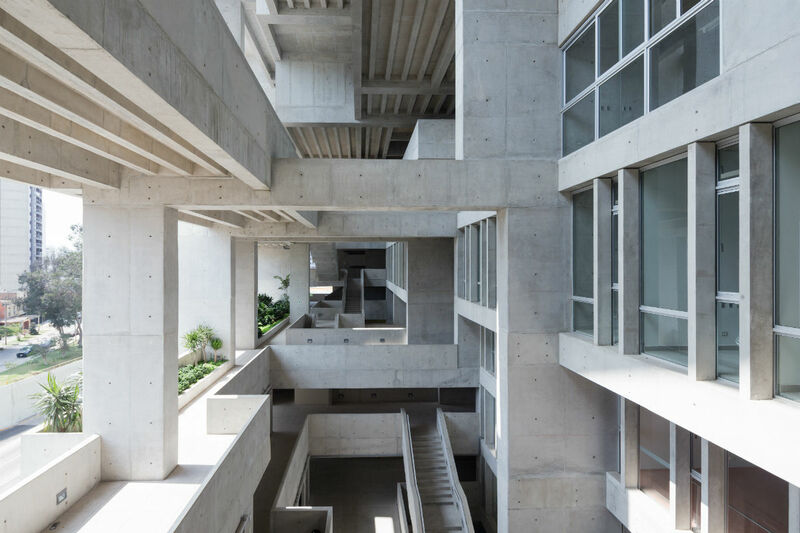 Lauded as a “modern day Machu Picchu” by judges, Irish firm Grafton Architects has won the inaugural RIBA International Prize for their Universidad de Ingeniería y Tecnología (University of Engineering and Technology, known as “UTEC”) building in Peru. 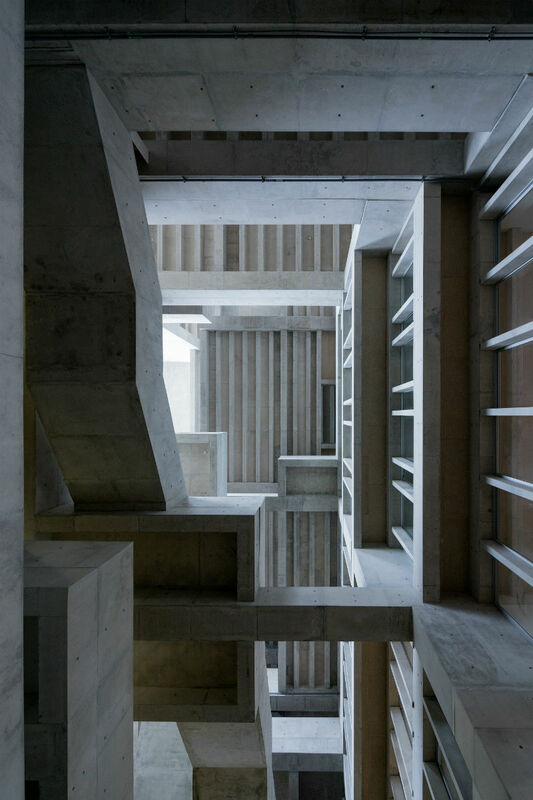 The Dublin-based practice saw off competition from Zaha Hadid Architects, Foster+Partners, David Chipperfield, Nicholas Grimshaw, Shigeru Ban, and this year’s RIBA Stirling Prize winner Caruso St John. 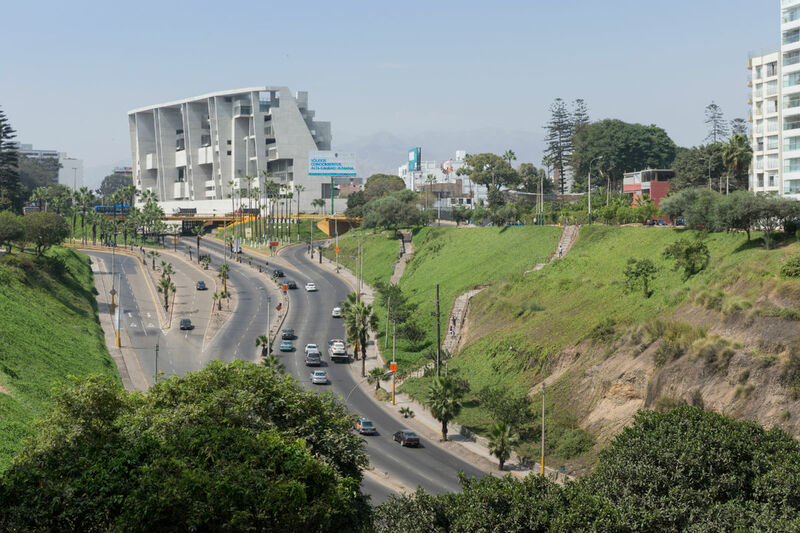 Sitting on the border of two residential districts in Lima, in section UTEC perches tantalizingly on the edge of a ravine. Seen from across the ravine it is as bold and as pure a statement of the symbiosis between architecture and engineering as could be imagined; a piece of geology imposed on its pivotal site, mirroring the organic curve of the landscape and accommodating itself in the city. To its close neighbours, it is a series of landscaped terraces with clefts, overhangs and grottos, a modern day Machu Picchu. 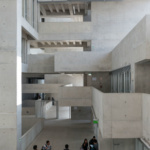 UTEC has been designed to encourage its students to interact in a unique way with the building. 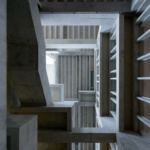 The vertical structure provides open circulation and meeting spaces in a succession of platforms that compose the ‘frame’ of the building; teaching rooms, laboratories and offices are enclosed, inserted into and suspended from the exposed concrete structure. 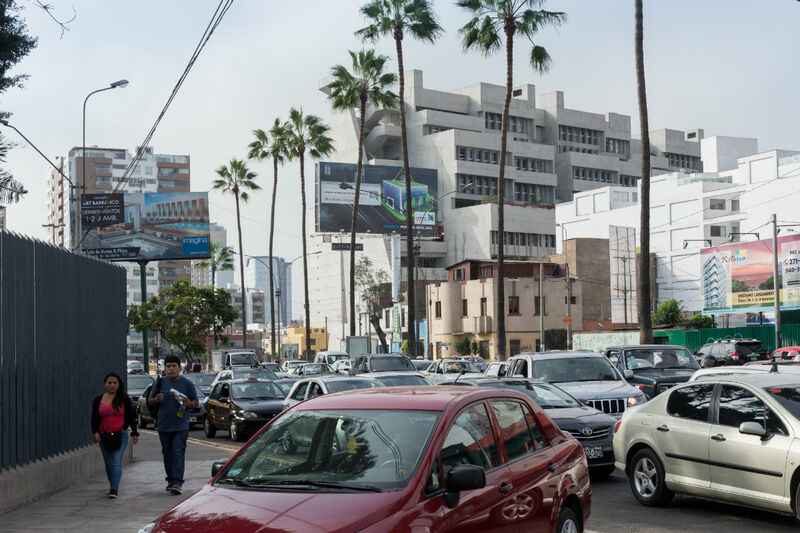 The frame is a device providing shade, a place of rich spatial exuberance and a platform from which to view the life of the city. 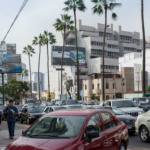 The entire life of this vertical campus is on full display to the people of Lima. 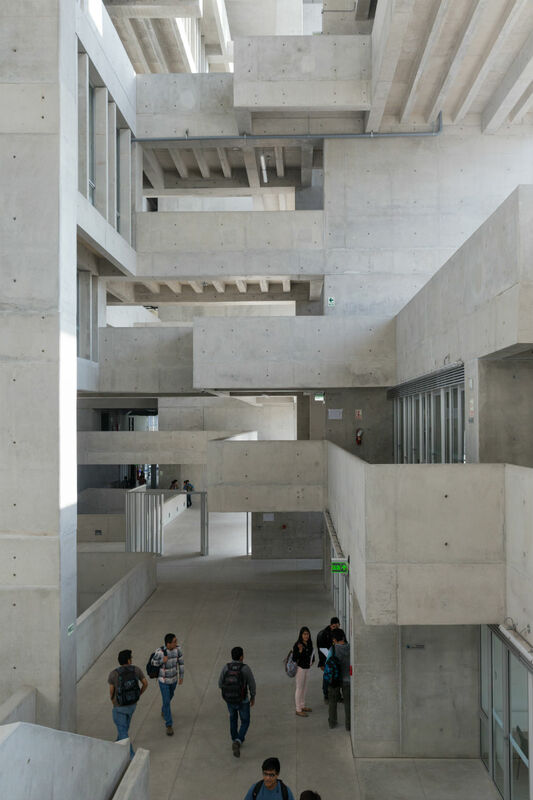 UTEC is the culmination of years of experimentation by Grafton Architects. 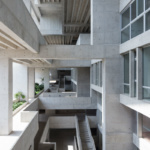 In this building they show the mastery of their craft, gifting Lima with a bold yet considerate contribution to the city and a visionary, world-class building.